Childhood wouldn’t have been childhood without sweets! Some of our best memories centre on raiding the pic’n’mix counter, or tucking into our favourite fruity chew. 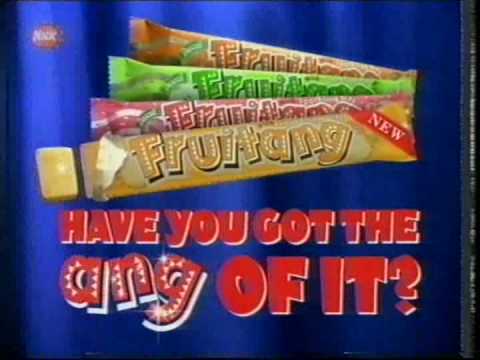 This nostalgia, however, is part of the reason that we’re so disappointed that so many brilliant sweets have been taken out of production! From Pacers to Spangles, gummy Polos to Dweebs, how are we meant to relive our childhoods without their delicious E-number laden tastes? You can occasionally buy these from specialist sweet suppliers online, but it’s been years since we’ve seen one in the wilds of the grocery aisle until NOW. Yes, that’s right, after 5 years of waiting and wondering, the Mojo Cola Chew is back on our shelves. These deliciously minty striped squares of joy were originally known as Opal Mints, and we couldn’t get enough of their ‘two mint freshness’. Sadly, they were discontinued in the 80s, but our love for them lives on. Yes, you can still get normal Polos. 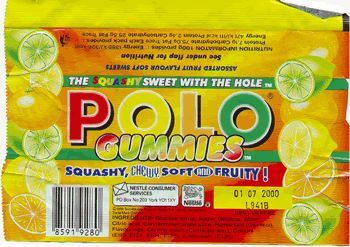 You can even get fruit Polos. But you can’t get the chewy Polo Gummies for love nor money, and this breaks our sugar-addicted hearts. He-Man jellies were fun to look at AND to eat. This man found one in a box of 30-year-old toys, which probably makes him the luckiest fella ever. Vanilla ice-cream flavoured chews? Consider us sold! Chewits did re-release these a few years ago due to massive public demand, but they’ve since disappeared from their website and let’s face it, they didn’t taste the same as the old school ones anyway. People loved these so much that there’s a Facebook campaign to bring them back – with over 38,000 likes! There is a Wham chew bar version available today, but fans of the original are adamant that it’s not as good. These jelly bean sweets with a sticky, almost-liquid filling were a staple of sweetlovers in the 90s, but Starburst cruelly decided to stop producing them, and there’s been no sign of their fruity flavour since. 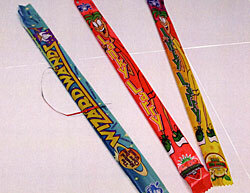 These bizarrely stretchy sticks of candy may have pulled out many a filling, but the taste was worth it! Our favourite was banana, but strawberry came a close second. Why did you have to take these away from us, Haribo? Where else can we find that distinctive mix of gummy chews and liquorice squares? Nowhere, that’s where – and we’re absolutely gutted about it. Okay, so technically, they’re Starbursts – but those that got to try the originals (so, anyone born before 1998) will know that they’re far superior. Blackcurrant is nice, but the seperate lemon and lime was nicer. Pink Panther bars were made of that pink chocolate-esque candy you often find in pic’n’mix. We’ve seen people describe the flavour as ‘like strawberry Nesquik’, which is probably the closest thing you can find these days. Half disgusting, half a veritable party in your mouth, Bursting Bugs had a really fruity liquid centre in a chewy, gummy outside. Some fans say there’s something similar being produced in Australia – road trip, anyone? Dweebs were like Nerds’ big brother, but whilst the smaller version lived on, these Wonka favourites were kicked to the curb. We miss their softer, chewier ways. Popping candy is a hot foodie trend, but the original (and best!) is around no longer, and we’re still mourning. So many flavours, such a good pop! Boiled sweet Spangles have previously been voted the brand that British consumers would most like to see revived, so why they’re not back on the shelves already is beyond us. Blobs were a boiled candy with a chewy centre, which came in an incredible range of flavours including Toffee Apple, Raspberry Sherbert and Banana and Pear. Why can’t modern sweet makers think of combos this delicious? 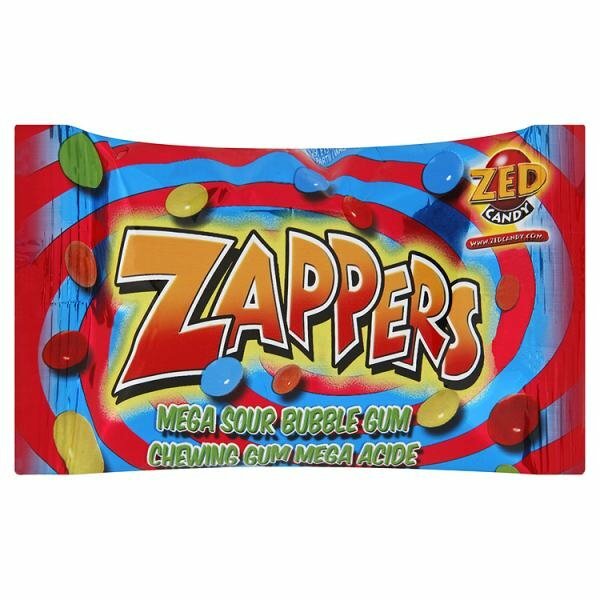 Ah, good old Zappers! These balls of bubble gum were so sour they made us pull extreme ugly faces, but it was all part of their deliciously tangy charm. Is there a retro sweet you loved that we’ve left off our list? Leave us a comment and let us know!